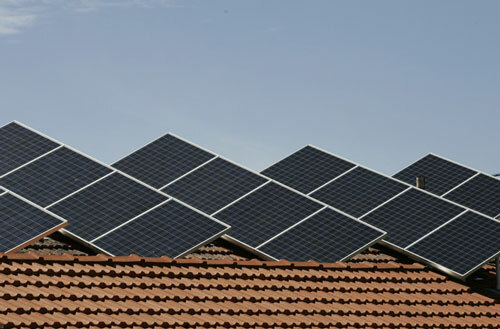 (Nanowerk News) A few years ago, it was rooftop solar. Now battery storage is the new silver bullet to solve our energy problems. Storage is a great step forward, and it will play an important role in our sustainable energy future. But it is just one piece of the jigsaw puzzle that is our energy future. That’s worth keeping in mind, given the recent hype over Tesla’s new storage appliances, including its 10 kilowatt hour Powerwall for energy storage in the home. Storage frees us from the need to match electricity generation and supply to demand on a “real-time” basis. This is a game-changer. But it still costs money, incurs energy losses and has environmental impacts. So practical and economic strategies will involve several elements, which complement each other. First, energy-efficient appliances, equipment and buildings are fundamental. With them, we need much less energy to deliver a given service. The best LED 100 cm television now uses 30 watts, compared with an old plasma TV that uses up to 400 watts. The best reverse-cycle air conditioner provides heating at a sixth of the cost of an electric fan heater. LED lighting is delivering up to 80% energy savings. And so it goes on. With lower daily energy consumption, the size of battery needed is reduced. Combining an energy-efficient building with efficient appliances makes an even bigger difference. My 7-star reverse cycle air conditioner cools and heats my 35 square metre insulated and shaded living room on a 38C or 10C day using less than 250 watts – equivalent to just four halogen downlights, a reduction of over 90%. No hair shirts here as I bank the savings! Energy efficiency cuts energy use but also cuts peak energy demand, avoiding costly energy infrastructure investment. Second, smart appliances and energy management systems allow us to manage appliance operation to reduce peak demand, maximise utilisation of on-site solar generation and maximise the benefits of storage. New air conditioners can be remotely controlled to limit peak demand. Motorised shading can be managed automatically or remotely. Appliances can include their own forms of storage. For example, some refrigerators now have “cold packs” built into their walls, so they can avoid damage to food during power blackouts and can be switched off during peak energy demand periods. They also have variable speed compressor motors, which improve efficiency and flexibility. Hot water services can store heat in tanks, so water can be heated at times when cheap energy or excess solar energy is available. Third, distributed energy-generation technologies such as rooftop solar allow us to generate electricity on the consumer side of the meter. Fourth, for many households and businesses, it increasingly makes sense to shift from gas appliances to high-efficiency electric technologies. This can cut energy use, cost and greenhouse gas emissions (even when using grid electricity), while also avoiding fixed gas supply charges. It makes battery storage and energy efficiency more important, as shifting from traditional gas-using activities such as cooking and heating potentially adds to peak electricity demand. Combining all of these pieces of the jigsaw means many households and businesses can consider radical options such as going “off-grid”. If they stay on-grid, the nature of their relationship with the electricity supply industry is fundamentally changed from “consumer” to “partner”. This means the electricity industry will need to make it worthwhile to stay “on-grid”. In the new world, a household or business could agree never to call for power when the network was under stress, to limit maximum rate of draw-off to a few hundred watts, and even offer to export power to “help out” at critical times. Exports in sunny times could be sold to others and all could share the profits. There are other options. A group of off-grid homes could share a single back-up generator (running on renewable fuel), and share electricity to help each other. A shared grid connection could also work, as the group’s peak demand on the grid could be kept within the capacity of a single household connection cable. Storage would cope with usage peaks. These options illustrate the “microgrid” approach. An electric vehicle or plug-in hybrid adds an extra dimension to the possibilities. It could top up and export power and be charged from on-site generation. There may be scope for new businesses that monitor how much stored power a home has, and then travel around (in an electric vehicle, of course) to top up those who need more electricity, as liquefied petroleum gas suppliers now do. They could also buy up excess stored electricity to sell to others. The technology packages, relative costs, financing packages, reliability and convenience offered to households and businesses will drive choice. Laws limiting transfer of electricity across property boundaries (to protect the “right to profit” of electricity networks) may also influence outcomes, although it seems fairly easy to creatively circumvent such anti-competitive laws. Also, as storage and renewable energy prices fall, there is less and less scope for electricity network operators to charge much for a connection. They simply can’t expect us to keep subsidising them when we have other options. That’s the last piece of the jigsaw puzzle.